Outlandish Observations: MOHB is here at last!! 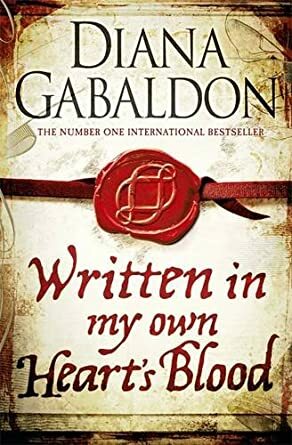 to Diana Gabaldon on the publication of WRITTEN IN MY OWN HEART'S BLOOD!! "Bumblebee-herding" is Diana's term for what I do on Compuserve. And for those of you who may not be familiar with my Friday Fun Facts, look here. As for "Eyeball-Numbing Nitpickery", I was delighted to be able to help. I hope all of you enjoy this book as much as I have. Happy reading, everyone!! I can't wait. I'm going on vacation this weekend and will thoroughly enjoy. I'm so behind on my re-read! And I decided to re-read BOTB after ABOSAA, and then do All Hallows after ECHO... and NOW The Space Between comes out yesterday in audio format, so add THAT to my stack... good grief, I'll never get to MOHB!! But it was still exciting to see it in my Audible library this morning! Tehehehe!! 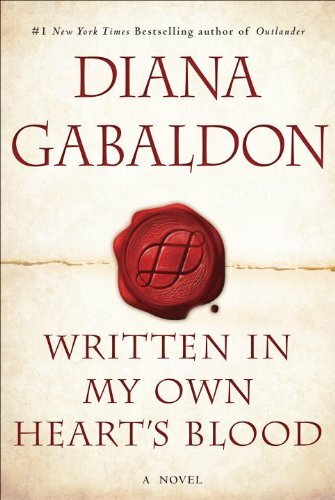 I have it on my Kindle and in hardcover (so hubby can read it along with me!) however, I am trying to wait until the 23rd as I go in for my 2nd knee replacement and think it would be great to take my mind off 'things' Think I can do it? LOL! It would be great if you could post the UK cover as well. Personally I like it better than the US one! It's nice for the US fans to see the UK cover and it helps the UK, Aussie & Kiwi fans feel more connected to your blog! And it's an awesome cover! Hi, Karen! Just finished MOHB and discovered your blog! I have thoroughly enjoyed reading about all the latest developments with the Outlander TV series and browsing through your Friday Fun Facts!! I've been been a huge fan of the books since a friend recommended them to me ca. 1998, and your wonderful FFF make the books really come to life for me-- thanks for your Lahore of love! BTW, I live in Cary-- nice to know there is another Diana fan in my neck of the woods. Cheers! Karen - welcome! Good to hear from another NC fan. :-) Glad you're enjoying my blog.